The rescued kitten's new name is "Pazzy" after officer Passarella. camera (New York Police Department) The New York Police Department posted this photo after one of its officers saved a kitten from an engine block. A New York police officer not only saved a stray cat, but also helped the adorable kitten find a loving home. Police in Brooklyn responded Friday to a report of a tiny cat trapped underneath a minivan's engine block, the New York Police Department said. The first responding officers had trouble convincing the cat to come out, so that's when Officer John Passarella came to the scene, Passarella told ABC News today. (New York Police Department) The New York Police Department posted this photo after one of its officers saved a kitten from an engine block. 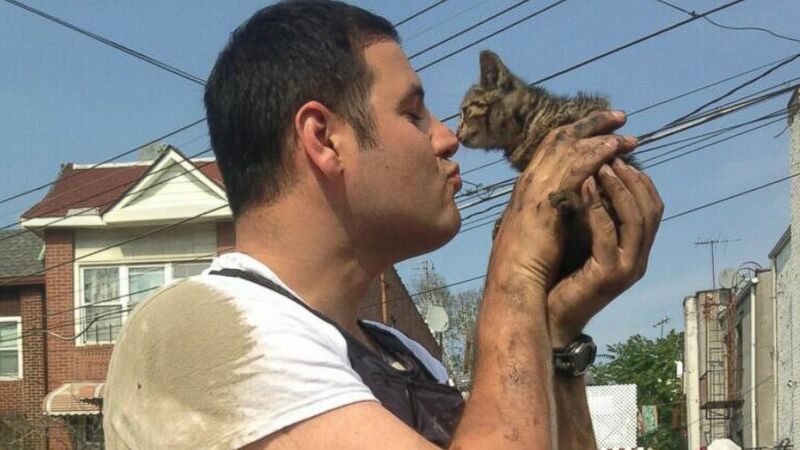 Passarella, who is also a volunteer firefighter, said he first got down on his back and slid under the car, but the scared kitten kept slipping away from him. After a few unsuccessful attempts, a scratched-up Passarella fit his arm underneath some belts and "was able to grab a hold of him and pull him out," he said. Passarella said the kitten was probably about 1 or 2 months old. 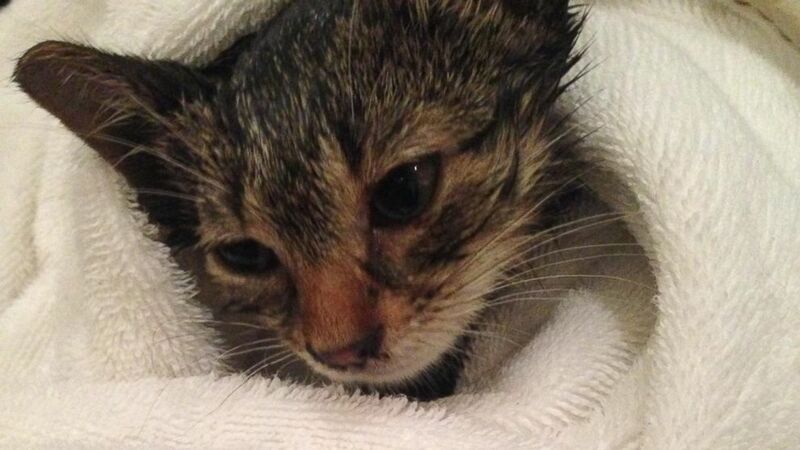 The cat didn't seem injured, but was still a stray -- so Passarella helped it find a new home. The kitten was adopted by another police officer, who gave it to her son. "Her son absolutely loves it," Passarella said. "[I'm] definitely ecstatic that someone I know personally was able to take the cat," Passarella told ABC News. "Definitely gives me peace of mind knowing that it's going to be OK."
And the rescued kitten's new name? "Pazzy," after Passarella, the police said.